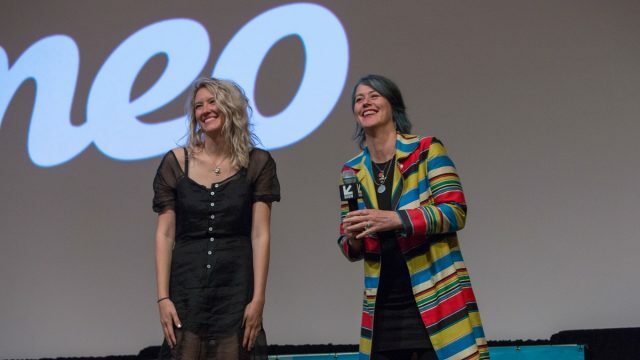 If your project will not be 100% complete in time for our submission deadlines on August 23, September 20, or October 18, SXSW encourages you to submit a Work-In-Progress cut. For more information about SXSW Film Festival deadlines and fees, take a look at our Film Submissions page. The SXSW Film Festival views work-in-progress cuts that are picture locked and include an opening slate listing what still needs to be completed (color-correction, sound mix, special effects, etc). HOWEVER keep in mind SXSW Film will only watch ONE CUT. Please make sure your project meets our premiere status and eligibility requirements before you submit! If your project is selected to play at SXSW 2019, you will be required to deliver a DCP (in addition, you can deliver us a 35mm print!) of the FINAL CUT for exhibition. SXSW will not exhibit a work-in-progress during the festival except under very rare and special circumstances.